Cinderella Sanyu aka “The King Herself” will be gracing the Johnnie Walker Unplugged stage this weekend at the Design Hub,5th street industrial area. 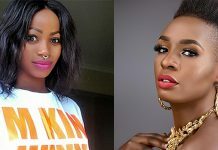 The songstress who has been making waves in the entertainment circleswith her ongoing battle demands with Sheebah will definitely show revelers that she is indeed “The King Herself” when it comes to dancehall since she will be the main headlining act at the event that is slated to take place on Saturday. 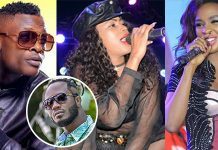 Cindy is a singer, songwriter who has dominated the dancehall music industry since 2008 at now with a few being able to get her off the charts. 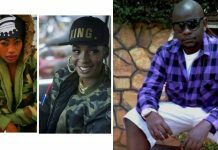 After dropping out of the all girl band group of Blue*3 in 2008 Cindy embarked on her solo career releasing her debut album Ayokyayokya that topped charts all around East Africa. The Onnina singer will have be performing some of her club bangers like Ayokyayokya, Mbikooye, Nawewe, one and onlyamong many others. 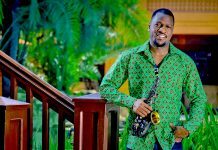 Organized by Fezah Entertainment the show is an intimate and up close experience of great Ugandan singers performing in a studio- like setting that that is slated to take place over the weekend. 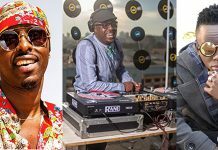 The show will kick off as early as 7 pm with early bird tickets to the show going for 30k, 50k at the door,100k VIP.